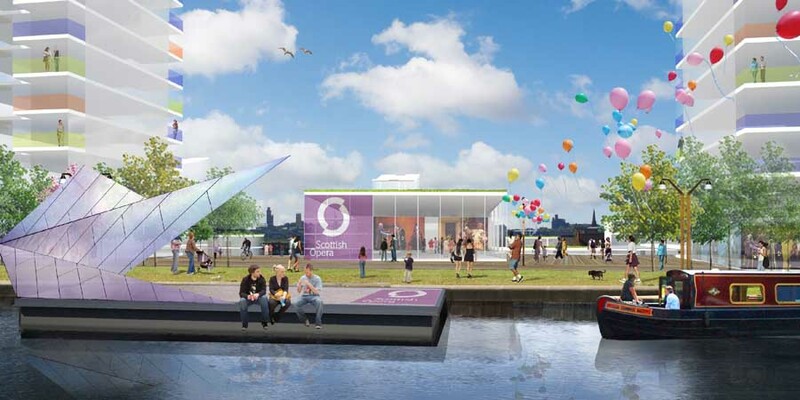 A major initiative to regenerate communities along Glasgow’s historic canal corridor has taken a major step forward with news that two groundbreaking projects have been unveiled by the Scottish Government as low carbon communities of the future. The Scottish Government launched the Scottish Sustainable Communities Initiative to seek to achieve a step change in design, quality and environmental standards of new housing-led developments, and to lead to the creation of exemplar projects which provide a basis for demonstration and learning. The SSCI is concerned with creating places which go beyond standard solutions. It aims to drive up the aspiration to achieve quality placemaking, improved energy performance, and more sustainable forms of development, whilst providing homes for people. Both waterside projects are an integral part of The Glasgow Canal Regeneration Partnership’s (GCRP) 20 year vision to revitalise 1,000 acres of the Glasgow branch of the Forth & Clyde canal from Port Dundas to Maryhill. The partnership, which was formed in 2004 and is a partnership between Glasgow City Council, UK waterside regeneration specialists ISIS and British Waterways, will seek to create a fantastic waterside environment that will bring benefits to those living and working in Glasgow, whilst providing an awe inspiring setting for visitors to the city. Christopher Breslin from ISIS Waterside Regeneration added: “This is a ringing endorsement of the hard work by the entire Glasgow Canal Partnership to transform Glasgow’s historic canal corridor and we look forward to working with the Scottish Government and our other partners, particularly local communities, to take both initiatives forward. Steve Dunlop, Director Scotland at British Waterways said; “Today, British Waterways Scotland is committed to both preserving the heritage of the Scottish canal network and driving the delivery of attractive and sustainable new canalside communities full of potential for present and future generations. A team of Scottish Government officials and representatives of other organisations including Scottish Natural Heritage, Transport Scotland, Homes for Scotland and Architecture and Design Scotland assisted the SSCI Team in assessing all 68 proposals. The SSCI ‘Exemplar’ projects were unveiled by the Deputy First Minister, Nicola Sturgeon, at an event in Glasgow on Wednesday 20th May. Ms Sturgeon said: “The Scottish Government is committed to creating an enduring legacy of high quality, distinctive new places. The projects selected include innovative design and building principles but they also promote environmental solutions which communities across Scotland can adopt. “It is vital for our long term economic and social success that we create communities which provide new homes in the right place, of the right type and which contribute to reducing energy demand and impact on the environment. The Spiers Locks project in Glasgow’s canal corridor has won a prestigious award from the British Urban Regeneration Association (BURA). 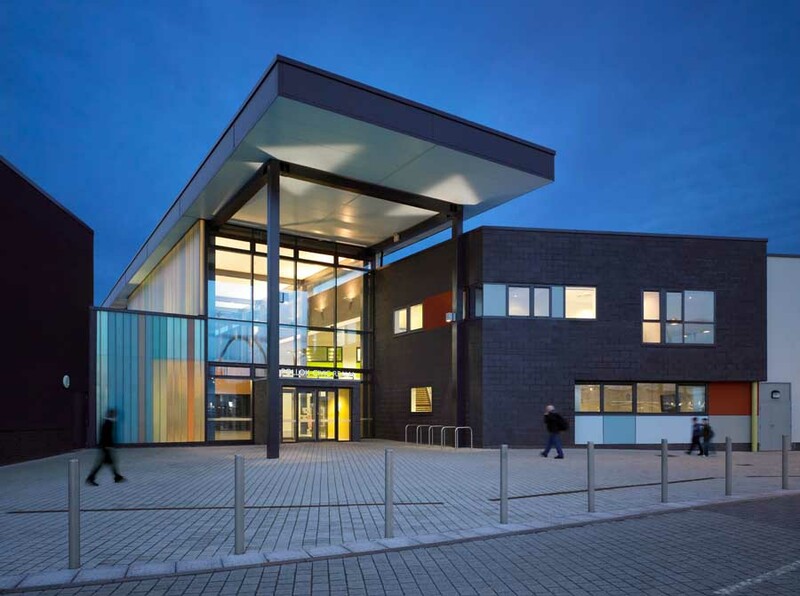 The project won the award for Strategy and Masterplanning at the BURA awards in Liverpool on 31 March. 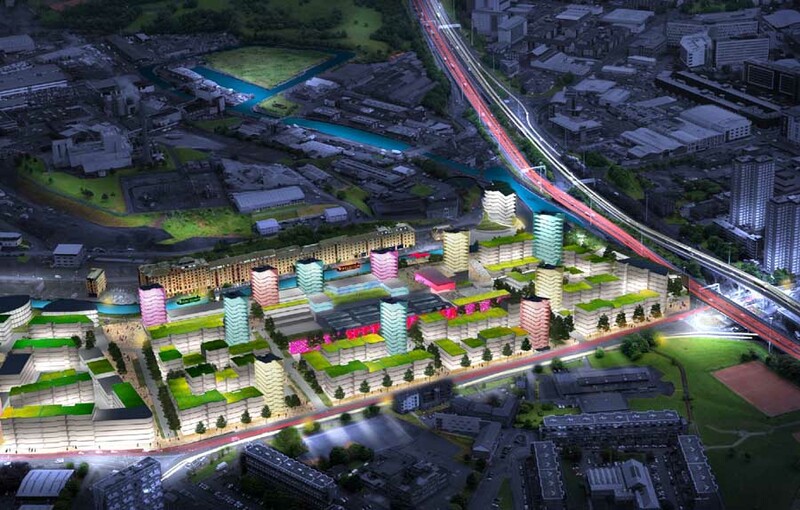 The Speirs Locks Masterplan covers a 14 hectare site north of Glasgow’s city centre adjacent to the Glasgow Branch of the Forth & Clyde Canal. The masterplan was developed following a 10 month engagement programme involving over 300 people including residents, school children and local businesses. The proposals provide a framework to allow the area to develop and evolve as a successful place over the next 15 years. 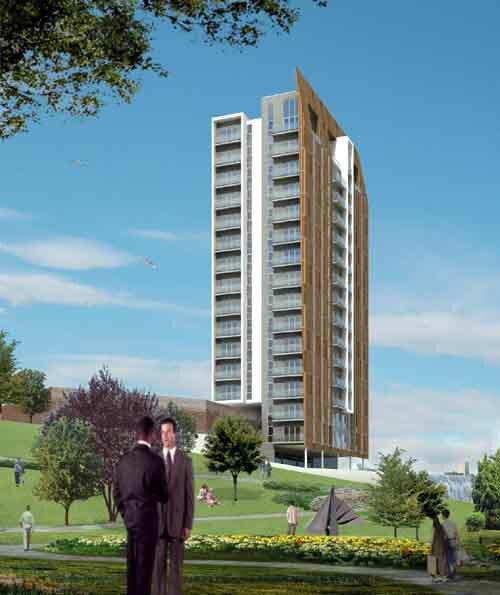 In total the plan proposes around 600,000 sqft of new development space within the initial regeneration area and approx 2,000,000 sqft of floorspace across the entire area through time. The framework is based in developing vacant sites alongside the canal for mixed use (housing and commercial) and assisting the gradual change of an adjoining low-rise industrial estate into a place with more intense and diverse uses including residential and commercial. 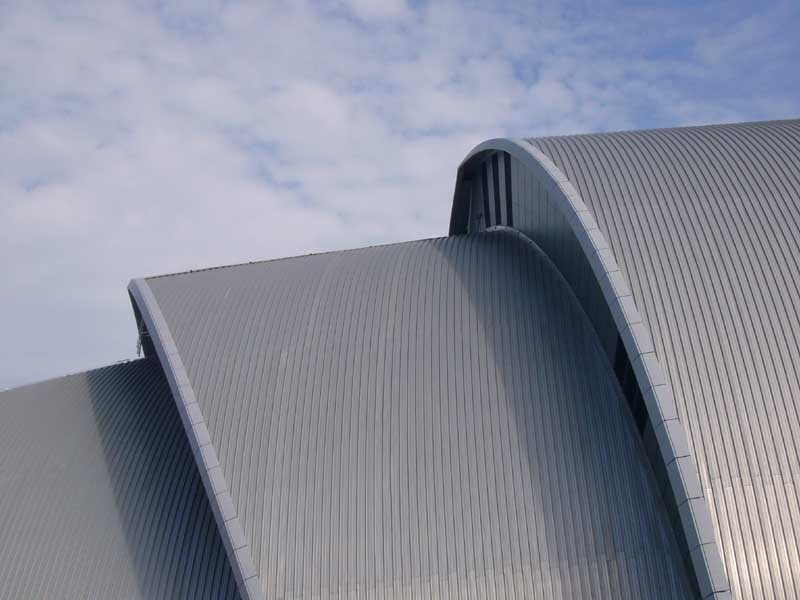 The framework also aims to create a cultural and creative hub around existing uses like Scottish Opera. The Maryhill Locks proposals are aimed at growing existing communities around one of the best places in Glasgow through a deliberate attempt to create well designed and environmentally sustainable neighbourhoods. In summary, the proposals comprise around 700 new homes of mixed tenure and varying typology. The proposals bring the historic core of Maryhill back to life through active ground floor uses incorporating community activities such as a new local health centre and housing association offices. The proposals will also bring life back to the historic canal environment. Launched at the Urban Summit in the Autumn of 2002, with a £100 million initial equity investment from British Waterways, Amec Developments and Morley Fund Management’s Igloo Fund, ISIS is now revitalising more than170 acres of land in 9 towns and cities across the UK. ISIS’ portfolio builds on the natural strengths of the country’s waterways and offers well designed, affordable, high quality, aspirational and energy efficient business space and homes. As a regeneration specialist, ISIS strives to optimise the commercial value of its developments whilst remaining dedicated to establishing or renewing sustainable waterside communities. 50% of its returns are re-invested by British Waterways into refreshing Britain’s rivers and canals. Named after the Egyptian Goddess of rebirth and rejuvenation, ISIS seeks to regenerate key brownfield sites across the UK and bring new life to desolate areas. British Waterways is a public corporation, an organisation owned by the people of this country on whose behalf we manage and care for more than 2,000 miles of canals and rivers in England, Scotland and Wales. Responsibility for inland waterways in Scotland is a devolved matter, with funding for British Waterways’ Scottish activities coming from the Scottish Executive. In Scotland the 137-mile (220km) canal network includes the Caledonian, Crinan, Forth & Clyde, Union and Monkland canals. British Waterways Scotland works in partnerships with local authorities, voluntary groups, private companies and other government agencies to protect and enhance the waterways and benefit the communities through which they run. The organisation balances the conservation of the country’s heritage and environment with developing commercial opportunities to generate income to reinvest in the waterways for further sustainable regeneration.